Excellence In Health Chiropractic & Rehabilitation Clinic P.C. does not underestimate the value of a massage table. The right one allows patients to truly relax and reap the full benefits of massage or chiropractic therapy. To use no massage table at all can actually defeat the purpose of certain massages and relaxation techniques by creating additional stress. The massage table is an important invention, widening the scope of a chiropractor’s techniques. Excellence In Health Chiropractic & Rehabilitation Clinic P.C. 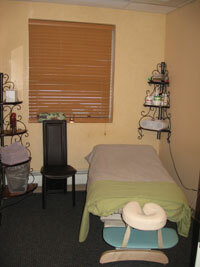 has excellent facilities, all-star specialists on staff, and comfortable massage tables. To set up an appointment at the Anchorage-based practice, call (907) 562-6325. For more information about their services, visit their website.